Today, let’s discuss ten reasons not to have an abortion. Why not abortion? NOTE: If you are a father, parent, friend, (or anyone) trying to stop an abortion, (or if you need more information about what abortion does) see this article. If you are a woman who is feeling pressured into having an abortion, or if you need resources to help you continue your pregnancy, go here. If you have begun an abortion and want to reverse it, go here for possible help and a 24-hour nurse-staffed hotline. Science could not be more clear. Unborn human beings are living, separate, and unique. From the moment of fertilization – better known as conception – a new human life is in existence. Ending this life is not ending “potential.” It is ending a life. We would do well to understand the modern science that reveals the humanity of the unborn. (Here is a scientific report, quotes from textbooks, photos, and a video.) Here is an innovative new video series that uses non-graphic medical animation to demonstrate exactly what happens in the different types of abortion. The series also describes the risks each type of abortion poses to women. Civil rights are violated when people are deprived of their basic rights in a discriminatory fashion. Unborn children are deprived of life – the most basic right of all – simply based on their location (their mother’s womb) and their developmental status. This is discriminatory, inhuman, and cruel. Real-life stories demonstrate again and again that abortion harms women. Harm comes in a variety of forms – mental, emotional, relational, and physical – and in some cases, women’s lives are lost through abortion. They can also experience the loss of their fertility or an increase in miscarriages after an abortion. To find out more, check out this study, this paper, this compilation of stories, these experiences, and these stories. Any time a family member dies, the rest of the family is affected. And this is true of abortion. A real, living, irreplaceable child has been killed, and the parents and siblings are damaged. Fathers attempting to stop abortions can read this article. Siblings who need a place to express their pain can go here. And for more information on how abortion damages relationships, read this and this. Many women who abort just to convince a man to stay with them find that they are left alone anyway, shortly after the abortion. Abortion is never the way to a successful and loving relationship. 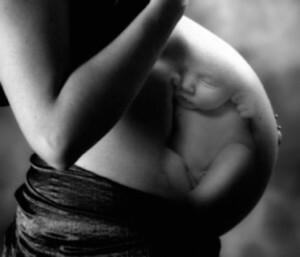 No matter how hard we try, we can never erase what abortion does. Abortion takes — it kills — an innocent human being. Time does not erase murder or ease the reality of what it is. Abortion is a cruel tragedy, but it is also a choice that should never be made. Such a choice stays with us forever. For anyone who has already participated in abortion, while there is no way to change your past, there is a way to heal from it. Check with your local pregnancy resource center for post-abortion recovery programs. You can also look into Rachel’s Vineyard or Ramah International. Also, check out this sermon by Mark Driscoll, in which he discusses how “Jesus died so murder could be forgiven.” Recovery, hope, and healing are always available. Some people believe that ending a child’s life will solve their problems. And in the immediate present, it may appear that the problems have been erased. Perhaps college becomes an easier option, maybe parents never find out that their daughter was pregnant, or possibly an affair remains undiscovered. But in reality, abortion only hides problems: it doesn’t solve them. Many women finish college while still giving life to their babies. Many parents are far more accepting and loving than their daughters or sons believed possible. And the truth is better than a lie, when a lie would cost an innocent person’s life. In the end, that’s what this is really about: our problems are not solved through killing an innocent person. Just because it’s legal doesn’t make it right. And just because it’s often a hidden choice doesn’t mean it won’t stay with you forever. Parents often experience great pressure to choose abortion without being told of the great gift they’ve been given. As a woman who considers herself a feminist, I find it appalling that abortion is classified as part of “women’s rights.” It is not my “right” to kill my child. I should not be the only person who has the power to order my child’s execution at the hand of an abortionist. Letting my child suffer a death in which her spine is sucked into a tube or her limbs are torn apart or her heart is stopped through poison is not empowering or liberating. These choices ought not to be choices at all. They are cruel tragedies for all involved, and they should not be permitted in a civilized nation. Women do not receive freedom through the blood of their children. All women should understand exactly what abortion is. For more information, watch these informative (and non-graphic) videos. This site gives information on abortion reversal to anyone who may have started an abortion they now regret, specifically a medication abortion (also called the abortion pill or RU-486). Here is a story of reversing a late-term abortion, something this organization may also be able to help with. You can also call the 24-hour, nurse-staffed hotline at 1-877-558-0333 for help.